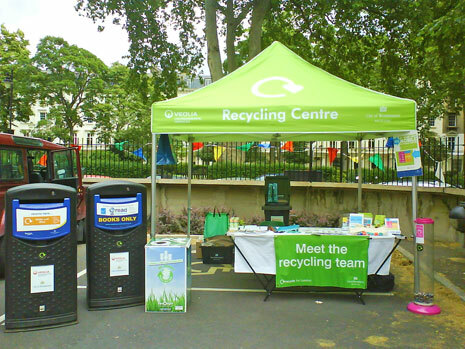 If there are clothes, shoes, textiles, small electrical good and books that you don't sell at Capital Carboot, and you still don't need or want, you can deposit them in the Westminster Council Recycling bins on site to be recycled or to go to charity. There are also plenty of charity shops in Pimlico that are receiving donations. Capital Carboot sale Pimlico will recycle, reuse or dispose of all other items such as bric a brac that Westminster Council are unable to take. Please note that we will not take rubbish, all rubbish must be taken home with you. Please note: This service is available for the Sunday sale only at the Pimlico Academy.